"Yes, We Have A Bananza!" Cute Herbie is full of surprises and is ready for another adventure. There is a crime ring in Mexico that is a huge threat for the people and the loved ones of Herbie. Herbie decides to take up the challenge and stand up to the evil crime ring for the sake of protection of his family. The challenge is not easy but Herbie is a ready for anything. 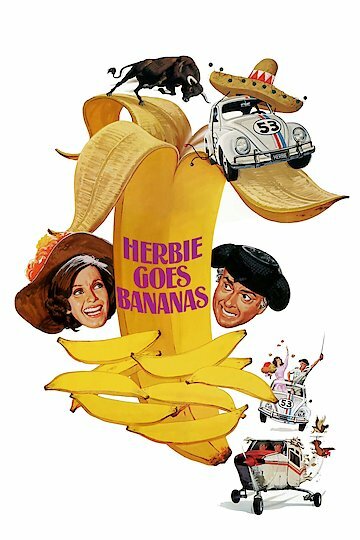 Herbie Goes Bananas is currently available to watch and stream, buy on demand at Amazon, Vudu, Google Play, FandangoNow, iTunes, YouTube VOD online.